Co-operative booty lootin' with a splash o' betrayal. Blaggards be a parrrty game fer six to eleven players. A band 'o pirates be attemptin' to open six locked chests. 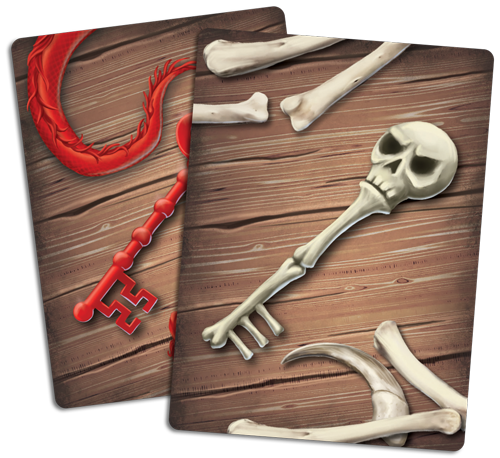 Th' chests can only be opened usin' a specific combination 'o keys, players gunna need to trust 'n co-operate each other to unlock them. What's th' catch ye ask? Thar be a hidden team 'o Blaggards! Th' Blaggards want nothin' but to ruin ye day 'n keep th' booty locked up. Blaggards is still under development, sign up to our newsletter and we will let you know when its available. Don't worry, we won't spam you. Max 2 newsletters per month.